The International Bible College of Ministries (IBCOM) was formally established in May 1990 as the training arm of Sword of the Spirit Ministries (SOTSM). This was as a result of a prophetic instruction of the Lord given to the Pioneer president, Rt. Rev. (Dr.) Francis Wale Oke. To enhance leadership training for church growth, short-term courses such as “Operation Joshua”; “Intercessor 2000”; “The Joshua Generation” were added to the curriculum. Other capacity-building programmes were held regularly. This includes “Advanced Ministers’ Seminar”, a monthly whole-day ministers’ seminar that has been of tremendous blessing to the church of the living God over the years. Graduates of International Bible College of Ministries (IBCOM), who are scattered all over the world, are being used by God to advance the gospel of Christ. Many churches have been planted as a result of the direct operations of IBCOM. While the main campus of the College is located in Ibadan, the headquarter base of the Sword of the Spirit Ministries, mini-campuses were established in Abuja, Lagos and Osogbo, London, the Atlanta GA, USA before the re-organization of the college. With the reorganization, we hope to see International Bible College of Ministries’ satellite campuses spring up all over the world, more end-time harvesters of souls produced and thousands of churches planted worldwide for the glory of God. Competent, qualified and experienced lecturers. Excellent classrooms and learning environments in an atmosphere that is conducive for grace impartation and destiny connection. Fidelity to the doctrines of Jesus and His apostles. Enforcement of Christian discipline and core biblical values. Outstanding men and women of God from the world over as guest lecturers. Perpetual commitment to World Evangelization. Decent accommodation for resident students, male and female, singles and married couples. Opportunity for local, national and international ministry exposures. A board of committed seasoned Christian leaders oversees the affairs of the college. A faithful Board of Reagents to ensure excellence, sustainability and continuity. A dynamic management team runs the day to day affairs of the college. To raise, train and release quality ministers for effective world-wide mission. The Bible as the inerrant and infallible Word of God and it is the final authority in all matters of faith and conduct. Jesus Christ is the Saviour of all mankind by whom people can know God and receive eternal life. The Holy Spirit is the third personality of the divine godhead and the Chief Executive of God’s operations on the earth. The church is the Body of church on earth and has the primary assignment of and discipling the whole world for Christ. The Christian ethic is to be inculcated into its students in order to exemplify excellence in every area of life. The ability of Faculty Members to commit to and develop Christian character in the students as an essential part of the learning process. The ability of Faculty Members to disciple all its students for Christ and mould them into effective ministers of the Gospel of Christ. A learning process not restricted to the four walls of the classroom but including observations, instructions, research and practices in all disciplines. The faculty represents many disciplines. The programmes which include research, teaching and supervision develop within the frame work of the written word of God and communicate new theories and strategies to meet contemporary needs and aspirations of God church for effective worldwide evangelism. The practical training fosters the appropriate attitude and skills for serving the Lord and His church worldwide. To produce spiritually qualified quality men and women for the work of Christian ministry worldwide. To train, retrain, update and refresh ministers of God on the field for a more effective service. To provide a library for research and documentation of relevant scholastic works, past and present. For spirit filled biblical research and scholarship. To regulate the doctrinal standard of the church from time to time in line with the teachings of the scripture. For award and recognition of outstanding contributions to God’s kingdom on earth. To affect the immediate community practically and positively for Christ. To service the body of Christ at large. International Bible College of Ministries is committed to the doctrinal beliefs of Christ Life World Outreach Mission a.k.a Sword of the Spirit Ministries International. However, the right of each student to affiliate with another evangelical, Pentecostal and charismatic or any other denomination is respected. The College codes of conduct are based upon the teachings and principles of the scriptures, seeking to develop personal holiness and discipline exemplified in a lifestyle glorifying to God. The College imparts spiritual knowledge and teaches biblical values both of which promote the traditions of evangelical Pentecostal and charismatic churches. A university degree or its equivalents in any discipline for Post -graduate Diploma course. A minimum of credit pass in four subjects in SSCE/NECO/GCE or its equivalent. Lectures will hold between 8.00 a.m. and 4.00 p.m. every working day of the week. Lectures will hold between 4.00 p.m. and 8.30 p.m. every working day of the week. Lectures will hold between 5.00 p.m. and 8.00 p.m. every Friday and between 8.00 a.m.
and 4.00 p.m. on Saturdays. The programme shall comprise of lectures, seminars, field projects and 2 months period of internship in a Ministry or Church organization.. 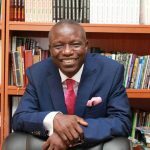 The President, Dr. Francis Wale Oke , with ministry experience acquired from over 33 years of active work leads a strong faculty of Lecturers of repute and ministers local , national and international to impact grace, wisdom and anointing. These are men and women that God has used to raise leaders and ministers over the years for ministries and churches in Nigeria and many part of the World. The college equally enjoys international speakers as visitors to the campus regularly. Visit the administrative office and register your interest at : 30 Ayepe Zone B (Opposite Solat Feedmill), Behind Fadau House, New Ife Rad, Ibadan, Oyo State, Nigeria.